Design, manufacturing and maintenance of distillation equipment for the essential oil industry, based in Riebeek Kasteel South Africa, with a global presence. 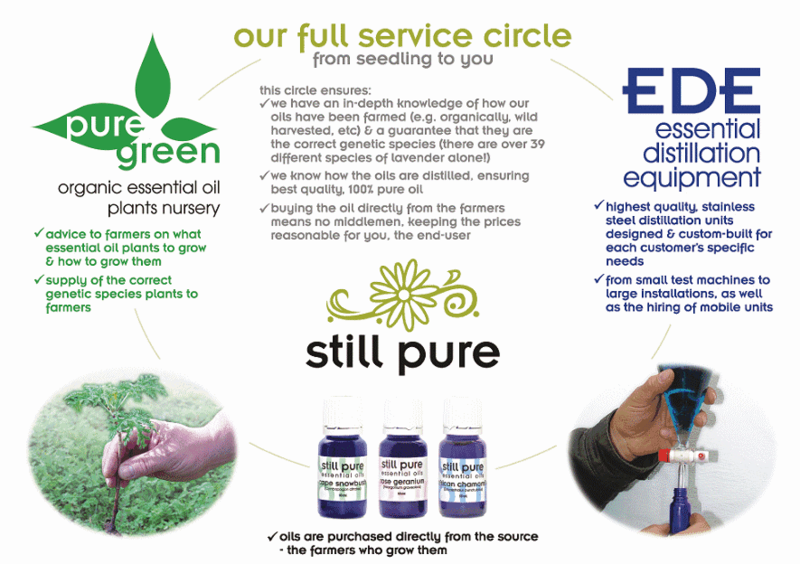 Essential Distillation Equipment was started in 2002 owing to the shortage of information and technology in the South African essential oil industry. Years of research and development have given us a well-rounded knowledge of all aspects of the industry. 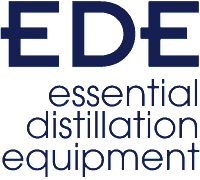 EDE specialises in the building of custom-built distillation equipment for the essential oil industry. We construct and/or export worldwide and have completed projects in Africa, the surrounding African islands, Southeast Asia, Europe, North America, Pacific and Atlantic islands, and Australasia. We design our distillation units specifically around your individual needs. Quality workmanship, stainless steel, exceptional results at affordable prices. modify and repair your exiting units. We provide essential advice and information wherever required in the process or use of distillation equipment for essential oils. We have access to extensive knowledge of all aspects of the essential oil industry and have build up a database of experts and strategic partners. This not only gives us a unique perspective that is lacking in the industry, but also gives the advantage to consult, design and manufacture a distillation unit suited to each client's specific needs. one of three companies in our stable will provide exactly what you need.